Once he became burned out on playing baseball, Chris Garagiola searched for a new passion. He didn’t grow up dreaming of following his famous grandfather, Joe Garagiola, who went from a major league playing career (1946-54) to becoming an American icon as a baseball broadcaster and television host. And really, who could imagine following that path? Rather, it was circumstance that led Chris to even try broadcasting. Read more here. Chris Garagiola (right), the Blue Wahoos newly named lead broadcaster, on air with Tommy Thrall (left). We are sad to learn that sports logo designer Keith Flynn of Flynnagain Productions died this past Tuesday, October 9th. Chris Creamer of SportsLogos.net remembers Flynn and showcases some of his work in a post today. Read more here. Read obituary here. 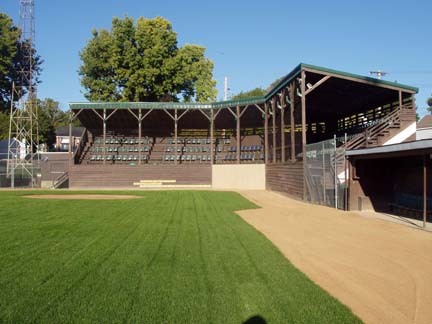 More than two years after a fire destroyed the 1938-era structure, the revamped Tink Larson Community Field in Waseca (MN) is nearing its grand re-opening. Read more and see photo here. See photo of old ballpark here. See fire photo here. Happy Birthday, America! 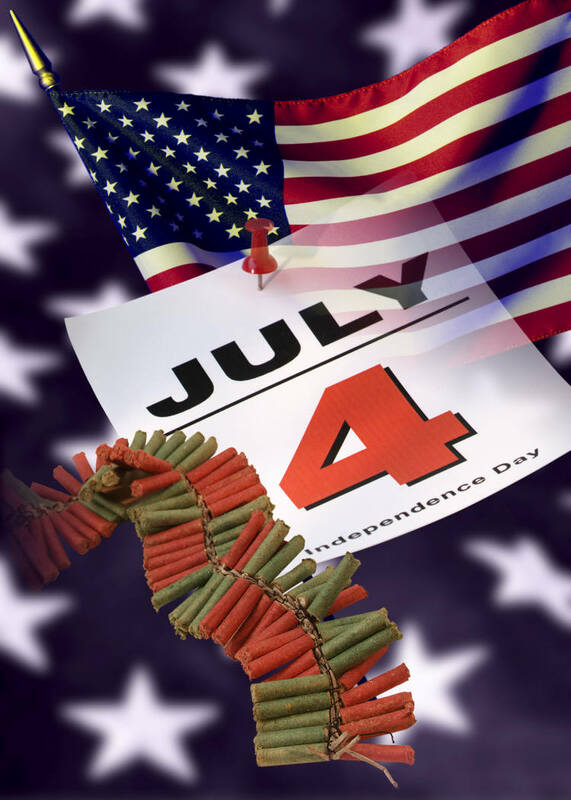 We wish you and your family a safe and pleasant 4th of July holiday. The body of an employee was found in a freezer at SunTrust Park, the home stadium of the Atlanta Braves, Tuesday afternoon. Read more and watch news report here.